OCEANSIDE — Eastside neighborhood resident Tim Broom said he and fellow neighbors have been complaining about low flying planes for two years and no changes have been made. 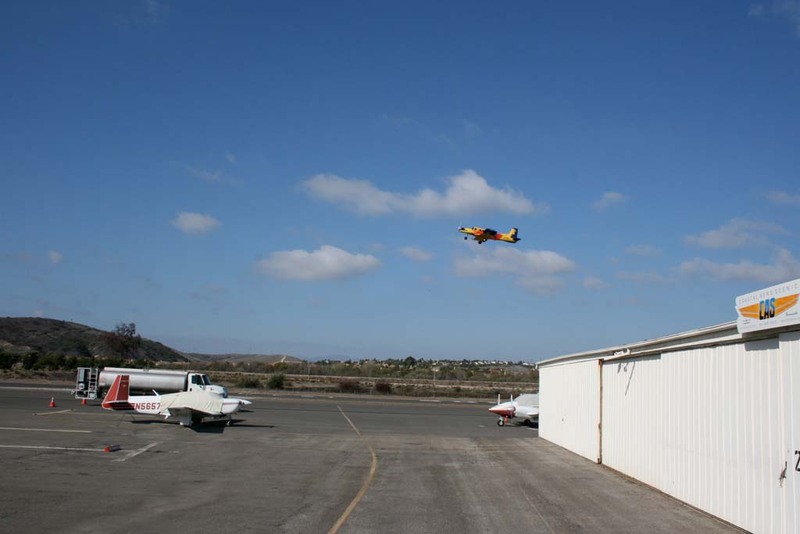 Broom collected 495 written complaints within one month from neighbors, and talked to the city, Oceanside Municipal Airport management, and the FAA about planes that are, in his eyes, flying dangerously close to homes in his neighborhood. “The ongoing airport issues have not been addressed,” Broom said. The city and airport management said they want to address any safety issues. Flight complaints were forwarded to the FAA, which determines air regulations. One complaint was considered valid and followed up on. Other complaints were dismissed. Jack Driscoll, principal with Airport Property Ventures management, said the company takes responsibility for what happens on the ground. He said he regularly talks to airport tenants and visiting pilots to remind them of the voluntary fly friendly rules. The fly friendly rules ask pilots to follow a takeoff route above the San Luis Rey River and away from hillside homes. Driscoll said the management company has taken additional measures and printed maps of the fly friendly route, and verbally reminds pilots of the route on each take off. He added that overwhelmingly pilots want to be good neighbors and follow the fly friendly rules. “It’s an issue of safety first and noise second,” Broom said. Driscoll said it is difficult to pinpoint what Broom and his neighbors may be complaining about, but occasionally conditions in the air can cause a pilot not to follow the fly friendly route. “Once pilots are in the air they’re the ones who have to make a judgment on the flight path,” Driscoll said. Driscoll said he speculates that occasionally a visiting pilot may show disregard and fly out of the fly friendly zone. He added the majority of planes in the airspace above Oceanside are from other local airports and never land or take off from Oceanside Municipal Airport. Another speculation is that the planes that Broom sees as 80 to 100 feet above his house may be an acceptable 1,000 feet above the ground below and appear close to the hillside homes. Rich Grimm, owner and president of Tsunami Skydivers that operates out of Oceanside Municipal Airport, reiterated Driscoll’s comments. He said that he meets with his pilots regularly for training which includes reviewing the fly friendly route and asking his pilots to remind visiting pilots about it through in-flight radio communication. Broom said he has heard from Driscoll that management talks to pilots about the complaints. Broom added he is not satisfied with this gesture that, in his eyes, is not solving the problem. “I’ve talked to neighbors and an easy 100 people are angry,” Broom said. Broom said he is frustrated no one is stepping up to solve the problem. Lately Broom and others neighbors have named Tsunami Skydivers as a major contributor to the noise problem. Written complaints have listed the recognizable blue and yellow plane used by the company as flying too close to homes. Grimm insists he meticulously follows all airport and FAA rules. “They are unfounded allegations,” Grimm said. He added that the complaints might be a matter of perception and sensitivity to legally acceptable noise levels. Grimm predicts that the ongoing complaints about allowable noise may cause pilots to rethink using the airport and affect its business. Driscoll said he would continue to work with Broom and others to address any complaints.